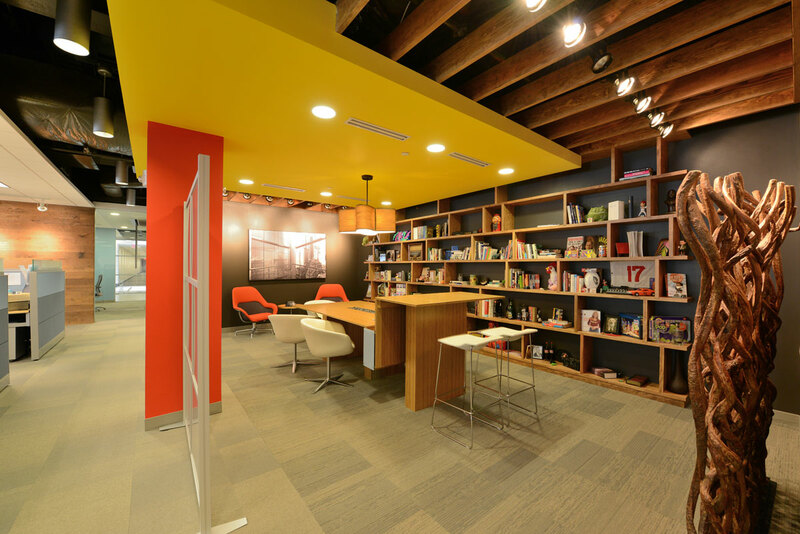 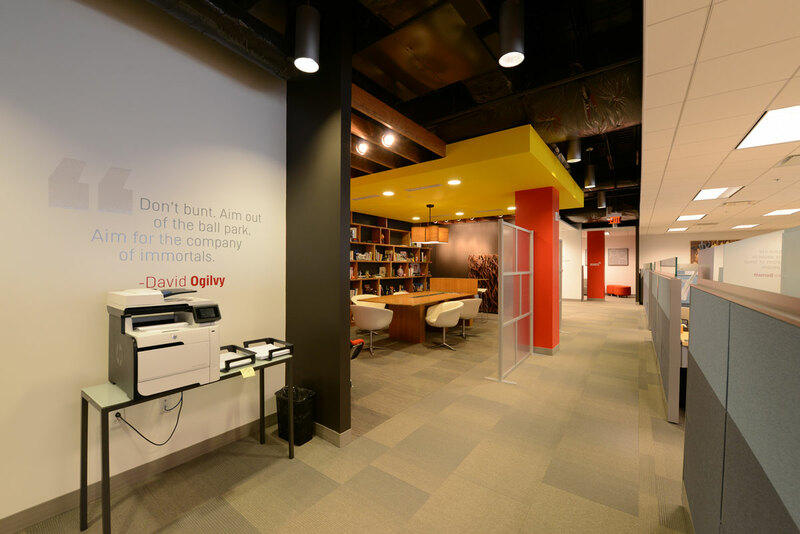 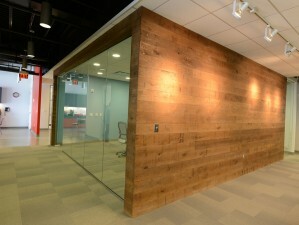 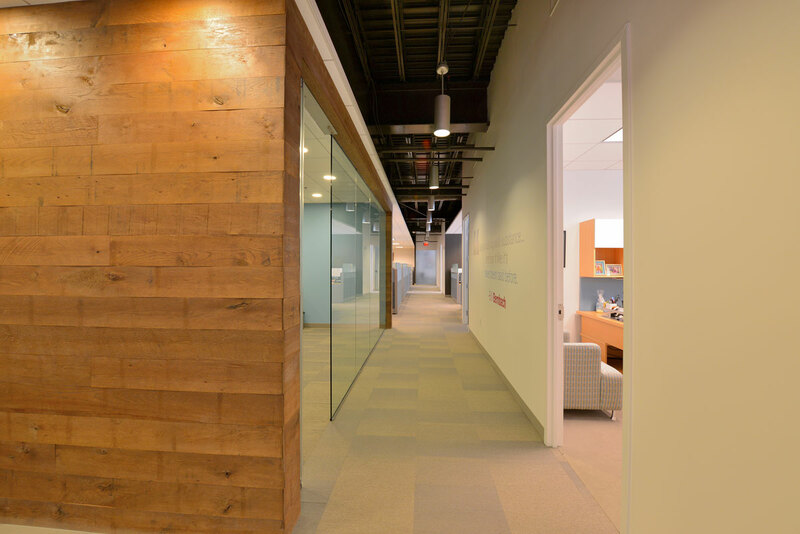 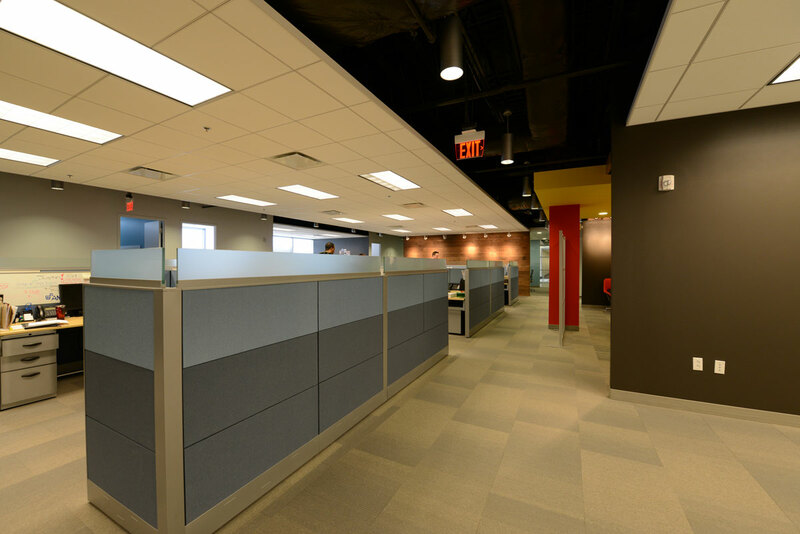 MidAtlantic served as the general contractor for the 5,000 SF high-end suite for a marketing agency. 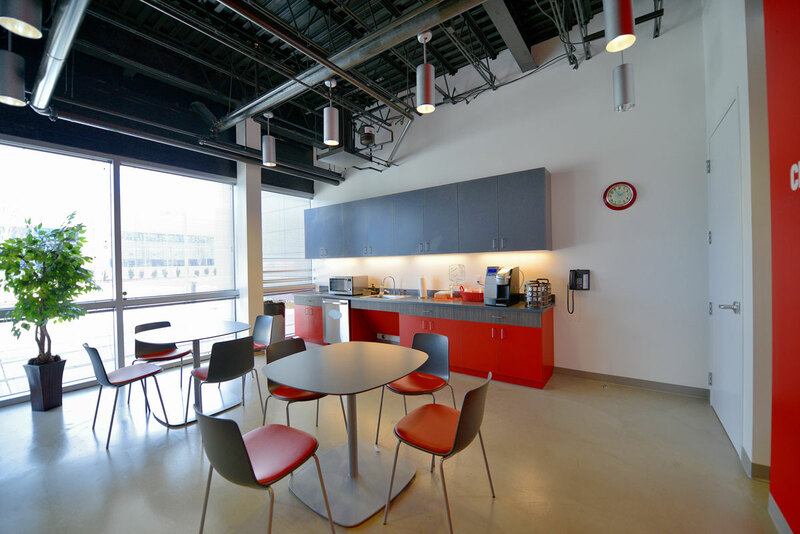 The project integrated exposed structural elements with dropped ceilings floating throughout the suite to create more openness within the suite. 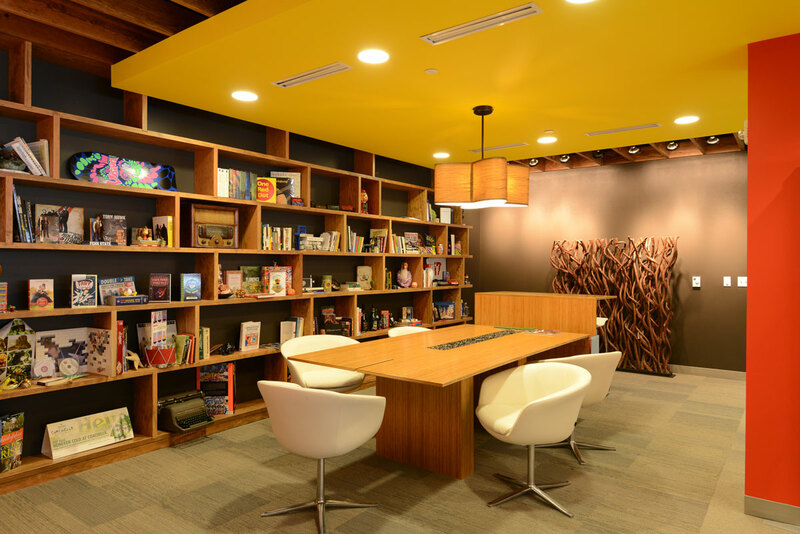 The elegant library is positioned in the center of the office, with decorative wood beams and a floating yellow hard ceiling. 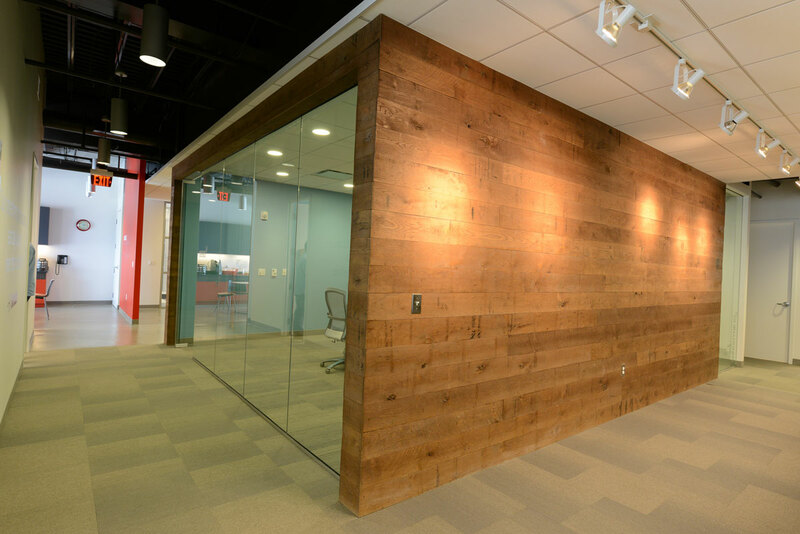 The main conference room is a wood and glass box that greets visitors on their arrival and becomes an architectural expression that carries forward throughout the suite. 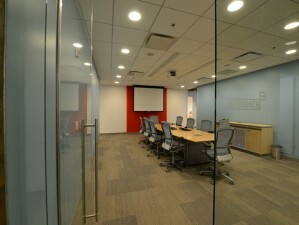 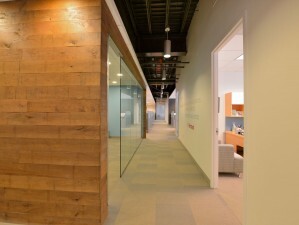 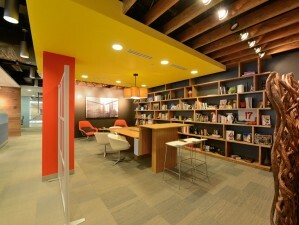 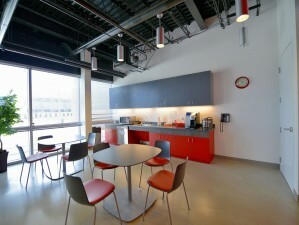 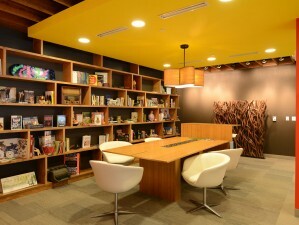 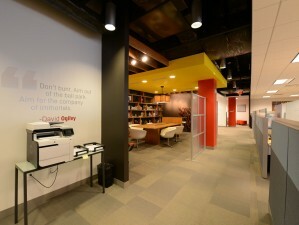 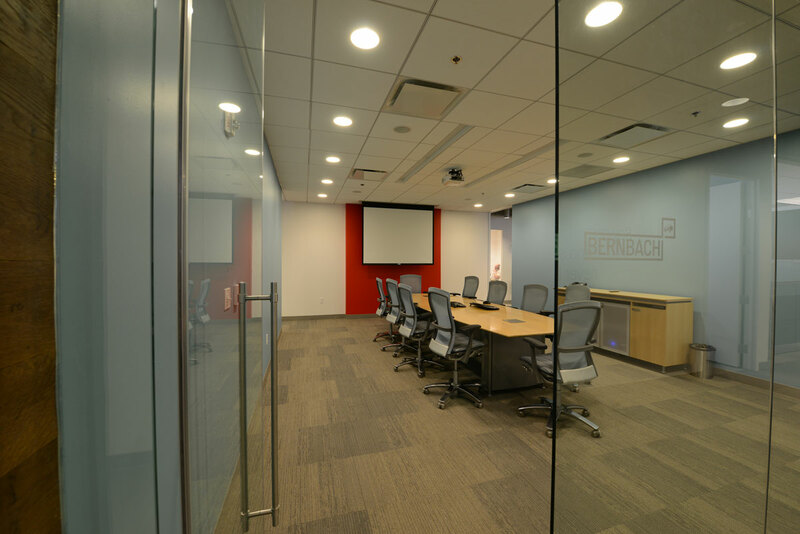 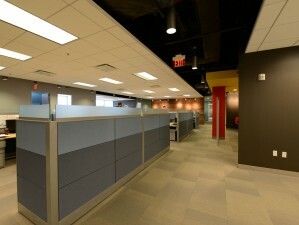 The suite also included perimeter offices, open plan administrative workstations, and upgraded light fixtures throughout. 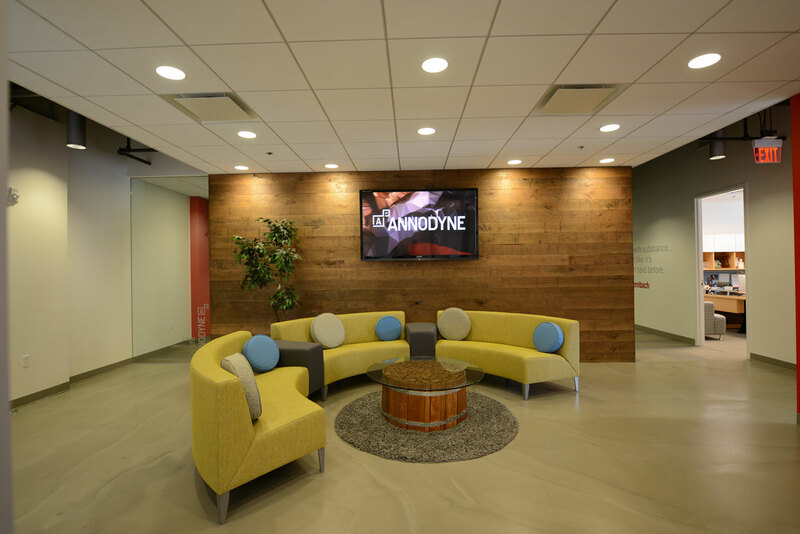 Blue Bell Investment Company, landlord on behalf of Annodyne Inc.